Water spots are a very common problem for automotive finishes and the tricky part is removing them without instilling swirls and scratches back into the paint at the same time. So let’s take a look at how to remove water spots by hand. Type I Water Spots are primarily a mineral or dirt deposit laying on the surface of paint. Type I Water Spots can be the results of minerals suspended in city water or well water that are left behind after the water evaporates off the finish. This can happen by washing a car but not drying the water off the paint or if a sprinkler goes off next to the car covering the car with water drop that are not dried off the paint. Type I Water Spots can also be dirt or pollution particles left behind after water from rain or inclement weather evaporates of the finish. Type I Water Spots can also be Type II Water Spots in that the water can leave both a deposit on the surface and an etching in the finish. Another way people describe mineral deposits is to refer to them has Hard Water spots, or spot left by “hard water. Type II Water Spots are actual etchings or craters in the paint because something corrosive in a water source has landed on the paint and was not removed before a portion of the paint was eaten or dissolved by the corrosive substance. Type III Water Spots are spots that look faded or dull and are found primarily found on single stage paints after a water source lands on and then pools on the paint and is usually left to dwell on the surface for some measure of time before it evaporates or is wiped-off the surface. Type III Water spots can also happen to clear coat finishes too but it’s not as common because I Type III Water Spot is either a stain or fading. Clear coats don’t stain as easily as single stage paints because they are not as porous or permeable. Clear coats can’t technically fade because they are clear to start with, there’s no color to fade. I took this photo myself when I helped Alex Fong from Corvette Forum remove a zillion Type II Water Spots out of the clear coat finish on his Corvette. Here's a close-up of the same photo, if you look closely you can see the edges are angled downward as this is an actual etching "into" the clear paint. Thoroughly wash and dry your car’s finish and in most cases any topical water spots/mineral deposits will loosen and then rinse off, this is key because you want to remove as much of any mineral deposits or other physical contaminants off the paint so you can then see what remains and will need more attention in order to remove. You also don’t want to rub any mineral deposits or other related particles over the paint so washing and drying is the first step. After you have washed and dried the vehicle, next visually inspect the paint and physically inspect the paint. 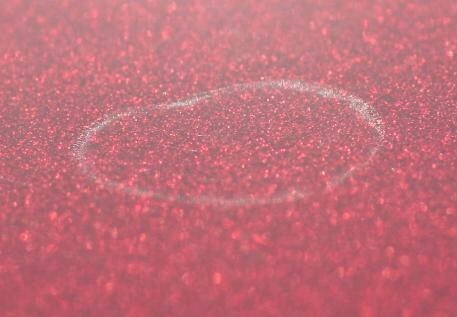 Often times Type I Water Spots will leave an impression in the paint, it’s usually very slight but visually noticeable. Florescent lights and sunlight are usually very good at highlighting subtle water spot impression left behind in the paint. 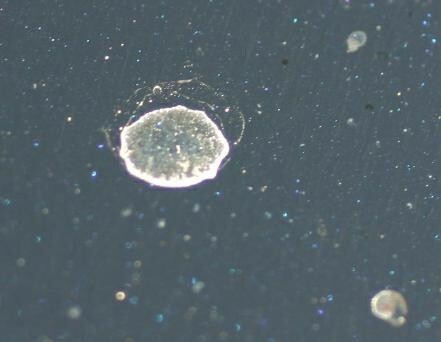 Also note I used the word “in” when I described these water spot impressions, this is key because these impression are a type of etching or mark “in” the paint and that means in order to remove the impression you’re going to have to use a product that abrades the paint. Next physically inspect the paint and you do this by feeling the surface with your clean hand. Often times your hands can detect what you eyes cannot see, so feel the paint with your clean hand, the paint should feel smooth and glassy, if you feel a textured surface then chances are good that not all of the mineral deposits were removed by washing. 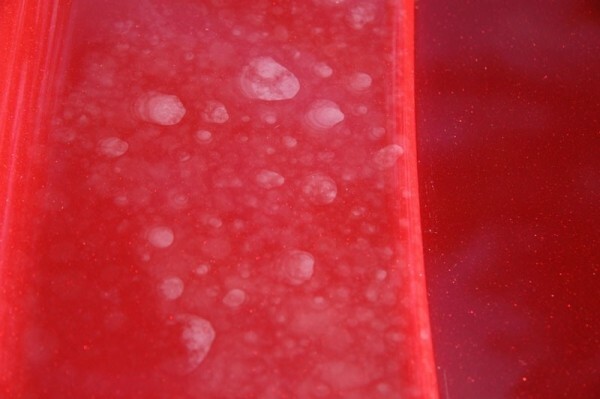 After inspecting the paint, if you still see and feel water spots you’re your car’s finish, and you’re fairly certain these water spots are mineral deposits left by hard water, then it’s possible a simple solution of vinegar gently wiped over the paint will remove them or most of them. Hard water is water that has a high concentration of dissolved minerals, mainly magnesium and calcium. The acid in vinegar can help to break the bond between the minerals and the paint so the minerals will wipe or wash off. If you want to try the vinegar approach, it’s important to first wash and dry the car so that normal loose dirt is removed so you don’t grind it into the paint when wiping the paint with vinegar solution. If after the above, washing and drying, and/or giving the paint an acid bath, if you still see and feel water spots on the paint then the next step will be to try to remove them using detailing clay. Claying removes above surface bonded contaminants and this includes any mineral deposits or other physical particulates left on the surface from water spotting. Remember that because these minerals will tend to be hard particles, it’s important to knead your clay often to expose a fresh working side to clay with. 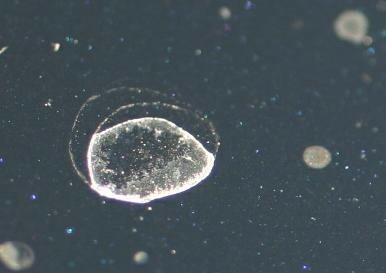 After claying, if you still see marks in the paint where the water spots were previously, this is common and a sign that the water spots have actually etched the paint (to some level), and the way to remove these marks or impressions is to gentle abrade the paint with a compound, polish or paint cleaner. Because these etchings are below the surface, clay will not remove them because detailing clay only remove contaminants bonded onto the top of the surface. The way you remove below surface defects is you gently abrade the paint in an effort t level the surface. 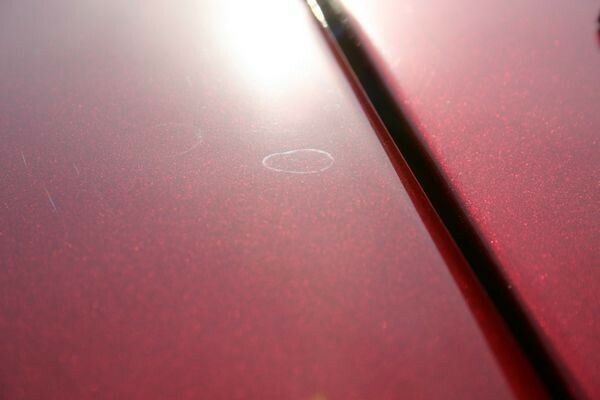 To remove below surface defect by hand you’ll need a clear coat safe compound, polish or paint cleaner. Some paint cleaners are non-abrasive in that they do not contain any ingredients with the intended purpose of physically abrading the surface. If the marks left behind in the paint are very shallow, sometimes a light paint cleaner, with the help of your applicator pad and a little passion behind the pad can remove faint marks. How hard or soft, the paint is will also a huge factor as to how easy or difficult it is to remove the water spot marks. There are two groups below, the first group of products would be considered the least aggressive product to consider starting with, if the water spots are more serious than shallow, light, slight marks or impressions in the paint, then consider one of the more aggressive products in the Compound and Polish category. Type II Water Spots are etchings or craters in the paint and neither detailing clay nor vinegar is going to remover these types of below surface defects. To remove a Type II Water Spot by hand follow Step 4 above after first washing, drying and claying the vehicle. Note: Even though claying won’t remove Type II Water Spots, before hand or machine applying any type of paint care product to an automotive finish the car needs to be washed, dried and clayed as a “Best Practice”. Claying is the most effective way to remove above surface bonded contaminants and this should always be done before polishing if a physical inspection reveals the paint needs to be clayed. Type III Water Spots are usually faded spots on single stage paints but can sometimes be milky looking spots on clear coat paint systems. When it comes to removing Type II water Spots the limiting factor is how deep the spot penetrates into the actual film build of the top coat. You remove Type III Water Spots in the same manner you remove Type II Water Spots but if the fading or staining goes too deep you won’t be able to completely remove it safely. To remove a Type III Water Spot by hand follow Step 4 above after first washing, drying and claying the vehicle. On older single stage paints, because these types of paints are very porous can easily have a stain penetrate fairly deep into the paint and completely removing deep defects is always risky, so use caution. For antique single stage paints, I always recommend pre-treating the paint with #7 Show Car Glaze to in essence put some oils back into the paint and thereby refreshing the paint and making it more workable or polishable. Plus the oils will help to restore rich color and counter the fading, whitening effect. After removing the water spots to your satisfaction it's important to apply a coating of wax or a paint sealant. By there very nature, compounds, polishes and paint cleaners don't provide any protection like you think of when you think of a car wax or paint sealant so be sure to apply either a coat of a quality wax or paint sealant to lock in the shine and restore a show room new finish. Nice write up Mike, thanks! Thanks Mike for a great article. The vinegar worked well for me when I caught some spots early on awhile back. We always use a vinegar solution to wipe down the boats/jet ski's after a trip to the lake (usually Lake Powell). Do you use the vinegar straight? Or do you cut it? Spray on towel, or on paint? I would like an answer to that question too... what is the ratio for the vinegar/water solution? I do a black toyota fj it has some water spots that I have tried and tried to get rid of.. no luck.. cant hurt to try the vinegar thing? When you use vinegar to remove the water spots, will there be a need to apply new layer of paint sealant (or wax)? If you're using vinegar on waxed car paint then "yes". Thanks for the article. Leads me to my next question. In my city we have terribly hard water. Every time I get out the two buckets to wash down cars, there is always hard water stains left on the cars. Because of this I try to avoid using running water to wash cars. I love ONR, but in the summer months I feel that a good mechanical washing using soap and running water would provide a more thorough wash.
Is there a best method for washing the car with hard water, without getting hard water stains? I often find myself washing the car once with pinnacles auto body shampoo, then I have to follow that with ONR. Two steps rather than one is not as efficient when running a business. One option I have seen online are a product called 'inline garden hose filters' (I'd post the youtube video of the product, but don't believe that follow forum rules, as autogeek does not sell these. So do a google search of inline garden hose filter). Have you used a product like this before? If so, what is your experience. Where I lived in Apple Valley, California the city water was the worst I've ever seen as far as leaving white mineral deposits on paint if you did not dry the water off the car. In fact, these pictures that I've been using for years now to show people what mineral deposits ON the paint can look like are from the city water in Apply Valley. The simple answer is also the remedy I used and that was to dry the car as fast as I could after the final rinse. A lot of the time I would either wash my car VERY early in the morning before or as the sun was coming up because temperatures were low and the wind was low to. Or late in the evening before it become dark. Not really a perfect fit for a business but that's how I avoided water spots all over our black Honda Pilot. Best way to remove water spots with what I have on hand?